So i was browsing jeje-ly on facebook and on the sidebar I saw an advert of an online store in nigeria doing a 20% off for Christian Louboutin Daffodile shoes ( even if it was 50% off I still wouldn’t be able to afford it)..loool….just wanted to feed my eyes , LOW AND BEHOLD- it was N20,000 (originally 25,000) you don’t need anyone to tell you that its FAKE!!!! 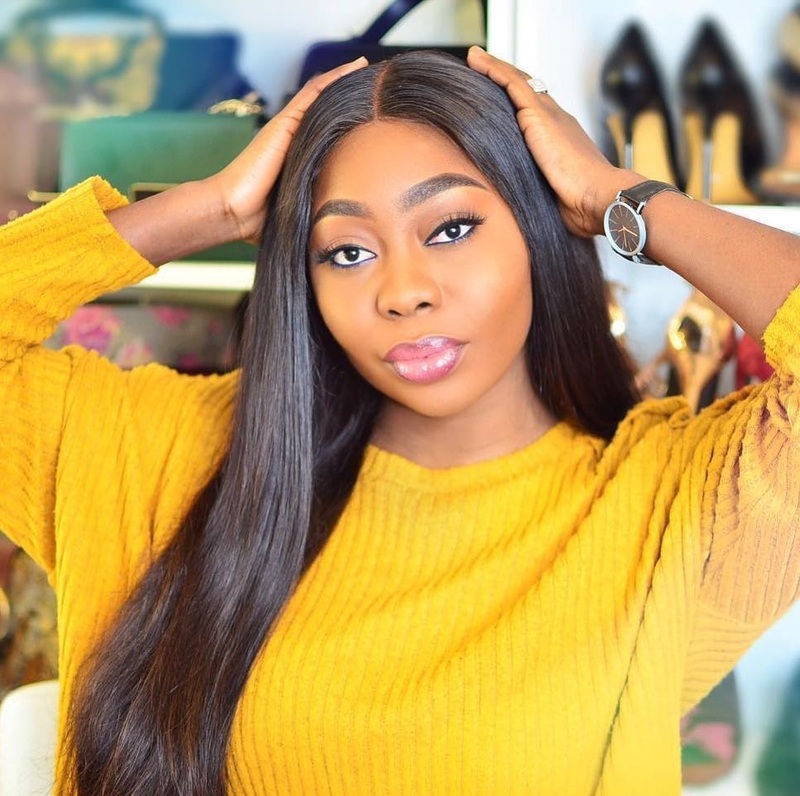 A lot of people buy the fake ones..yes even our Nigerian celebs- and they always look sooo real until your hear the price!!! PRICE: Pay attention to price. We all love a good deal, but you have to know when a price seems just too good to be true. 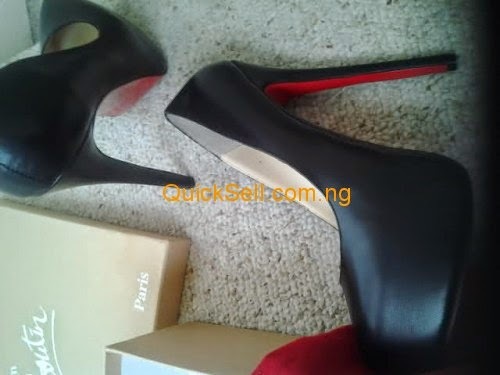 Christian Louboutin shoes retail anywhere from around $600 to $1600, depending on the shoe. If you spot a pair selling for a ridiculously low price, odds are they’re fakes. 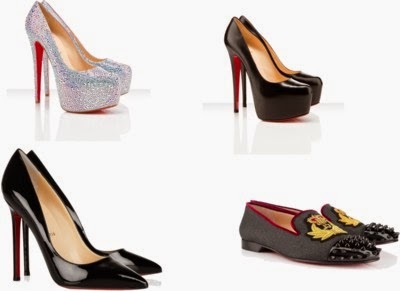 If you really want a pair of iconic Louboutin shoes, more often then not, you have to pay the price!!! 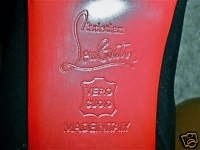 SIGNATURE RED SOLE: This goes for all Louboutin soles….The authentic red soles on the left have a bright red color with a nice high gloss finish and it may be hard to see how glossy the soles are in this pic. The fakes on the right will have more of a dark deeper red color with more of a low gloss matte looking finish. Pay attention to the designers name as the authentic pair will have “Christian Louboutin” “Made in Italy” on the soles with the size in EUR on the bottom. 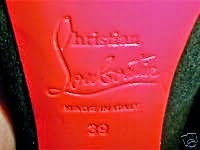 Fake Louboutins will have “Chrisitan Louboutin” also with “Made in Italy” and the EUR size but… you will many times see all one word “MADEINITALY” as seen above. The disadvantage to authentic soles is they will scuff the red off eaisly with limited wear especially on hard surfaces like concrete where the replica soles do not show wear near as bad. THE BOX: The authentic box is on the left . 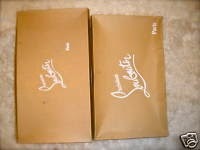 The fake box on the right is smaller and the Louboutin logo on the lid is much larger, also the box is often made of cardboard and has a slight colour difference than the authentic ones. This is of course hard to tell by the pics since you’re not going to have two boxes side by side to compare but… when looking at listings with the box pay attention to the word “PARIS“. The Authentic box has the word “PARIS” up close near the CL logo NOT over in the bottom corner. Also ask for the item description on the box. If there is no description or just the CL logo with a bunch of sizes across the top of of the label take precautions. 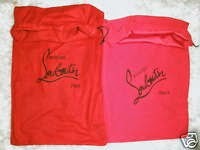 THE DUST COVERS: The authentic dust cover is on the left and has a nice bright red color with cotton material with the Louboutin logo written straight across the dust cover. The fake one has a light red color that looks almost as if its sun faded and the Louboutin logo is written sideways on the dust cover. The material also has a faux, silk feel to it. I have seen listings where the authentic dust covers are used in pics with fake boots. Authentic covers are also made just big enough to get your shoe/boot in. 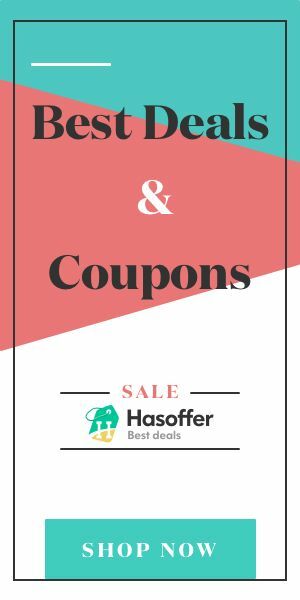 The fake covers are large enought to fit two pairs of shoes and any weekend packing as well in case you want to take a quick trip and need a duffle bag. AUTHENTICITY CARDS: This is a another HUGE clue that the item is a replica. 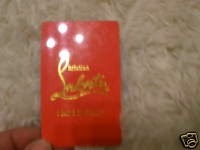 Christian Louboutin DOES NOT send out red plastic authenticity cards nor do they send out the black authenticity cards with information on the card stating they guarentee the materials are of ” high quality” materials. This is FAKE! Designers such as Gucci, Versace and Chanel have booklets that come with their shoes and Prada also has a plastic auth card they send with the item description but Christian Louboutin does NOT send booklets or authenticity cards with any boots or shoes. 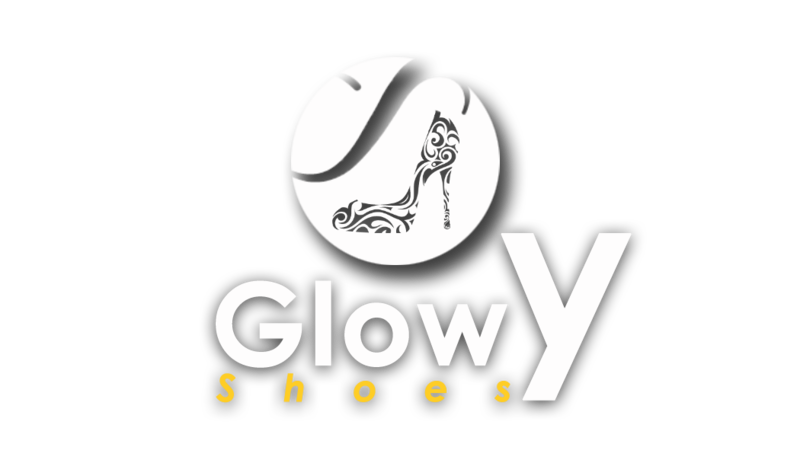 STITCHING: Check out the stitching and other small details of the shoe. Christian Louboutin’s are expensive because you are paying for impeccable quality. If the stitching of the shoe is very obvious or you notice any major flaws in construction, odds are you don’t have the real thing. Go on the Christian Louboutin website and study a photo of a shoe you know is legitimate and compare it to your shoe. Is the quality the same? If not, odds are your shoes aren’t authentic. Personally I hate fake stuffs, to me its shows lack of contentment and desperation to be who you’re not-If its only bend down select you can afford just carry yourself well and u’ll kill it!! I prefer you even wear inspired style with a legal company name not a KNOCK OFF!! !